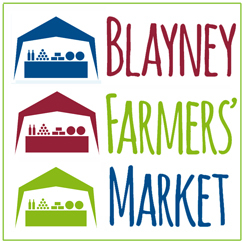 Carrington Park, Church Street, Blayney NSW 2791 info@blayneyfarmersmarket.com.au http://www.blayneyfarmersmarket.com.au https://www.facebook.com/blayneyfarmersmarket?fref=ts Commencing on 15th February 2015, the Blayney Farmers Market will be held on the 3rd SUNDAY of every month. Set amongst the beautiful trees of Carrington Park, this producers' market features a wide variety of gourmet foods and quality artisan products - where everything sold is always made by the seller. So come and try some great food, meet friends, have a coffee, wander and enjoy! M 0409 924 182 enquiries@bathurstfarmersmarket.com.au http://bathurstfarmersmarket.com.au/ The market is held on the fourth Saturday of each month from January to November and on the third Saturday of December. 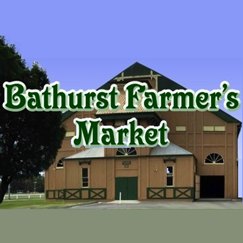 The markets are situated at the historic Bathurst Showground and gates are open from 8 am to 12 noon. 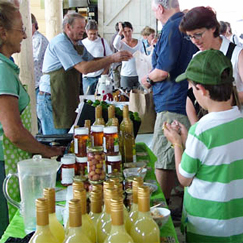 So wander through the pavilions and sample or buy fresh regional produce. T 02 6365 2298 - Cath Thompson M 0425 259 350 ccthomo@bigpond.com http://www.orangefarmersmarket.org.au Orange Showground, Agricultural Pavilion, Leeds Parade (May to October) or Northcourt, behind Orange Visitors Centre (November to April) The Orange Farmers' Market is a predominantly fresh food market that operates monthly on the 2nd Saturday.